Writers On The Move: Do You Want to Be a Writer? How does one begin a career in writing? I asked myself that same question. I’ve had an idea for a children’s book for several years, but didn’t know how to start such a project. Following are five suggestions to help you take those first steps on the road to becoming a writer. Sign up for a class. Last summer, I discovered my local community college was offering a creative writing class. It was for half a day and inexpensive. The instructor taught us how to capture the reader, build and develop stories, and write an ending that will inspire the reader to recommend our books to others. Register for an online writing conference. The instructor of my class handed out some recent issues of a popular writing magazine for students to take home. From one of those magazines, I read about a free, interactive online writing conference, WriteonCon, http://writeoncon.com/. Members of the faculty for WriteonCon are professionals from the book publishing industry: agents, editors, authors and illustrators. The three day conference is held every August. From a fellow attendee, I learned about the Muse Online Writers Conference, http://themuseonlinewritersconference.com/. This event, held for one week in October, covers a variety of genres, with workshops taught by professionals in the field. Start an idea box and a vision board. My idea box is filled with articles, magazine photos, and a notebook, where I jot down my thoughts and ideas for the children’s book I am writing. On my vision board (poster board), I have pasted magazine photos of people, places, animals and objects. These photos are helping me to develop my characters and the world in which they live. 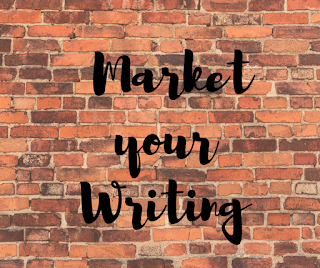 Read about writing, book marketing, and the publishing industry. There are many books, magazines, websites, Facebook pages, newsletters and blogs that are helpful to the budding writer. Some newsletters and magazine articles are free. Libraries are great places to find books on how to write. Begin with those and then purchase the books and subscriptions that you find truly helpful. Over time, you can build your own reference library. Join a writer’s group. There may be one that meets at your local library or bookstore. Some of these groups are independent; others are local networks of international organizations, such as the Society of Children’s Book Writers and Illustrators (SCBWI), www.scbwi.org. It’s important to do your homework first. Read, research, study, ask questions, get involved, and have fun! I love this article, Debbie. And I'm so glad you mentioned the Muse Online Conference. When Lea and I first got the idea, we believed it to be the first of its kind. I'm still a sponsor and love to talk it up. As you can tell! Once everyone has followed your brilliant checklist, so many opportunities arise to hone the craft and aim for publication. Great post Debbie. For children's writers, I'd also like to highly recommend Highlights Foundations workshops. They are expensive but do offer scholarships and grants for writers who need financial support. You're definitely in the right track. Best of luck with that children's book you're working on. I'm tweeting and facebooking this. Good post, Debbie. I especially like the suggestion of the vision board. Great pointers, Debbie, that's the way to do it. There are so many ways for writers to learn the craft, many free or inexpensive. Good stuff, Debbie. Those are all excellent suggestions. The one thing I'd add is to read - lots of the best work in the genre you want to write in. It is not only pleasurable, it's critical to developing your all important writer's 'ear' - so you know what wonderful writing looks like and how it's experienced by a reader. Thank you all for your comments. I'm also working on my own blog and hopefully I'll be able to add that link soon.